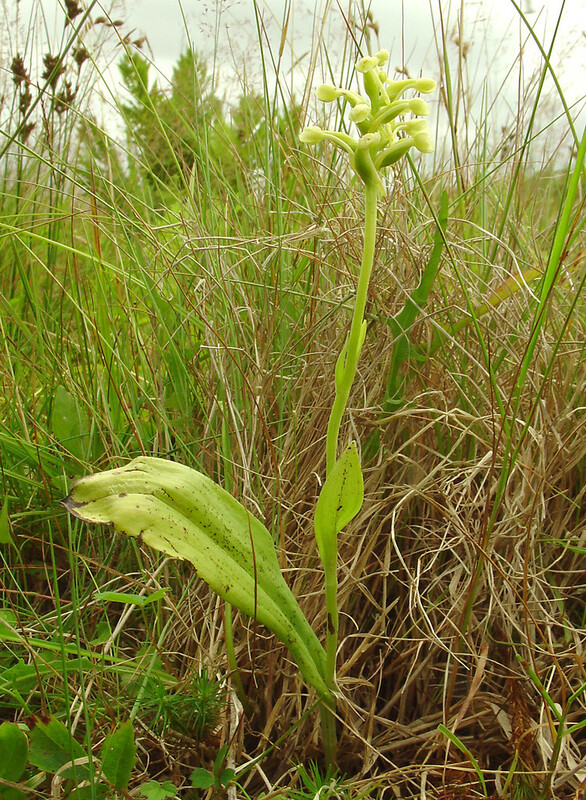 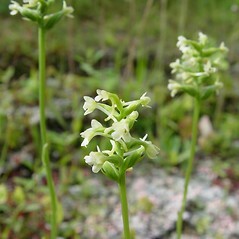 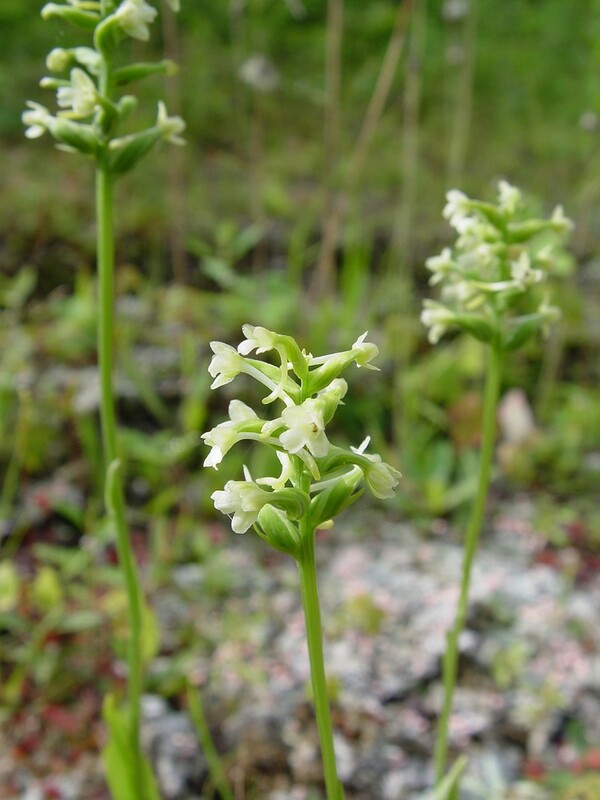 Little club-spur bog-orchid is self-pollinating, with the pollen germinating within the pollinia and the pollen tube growing down onto the stigma. 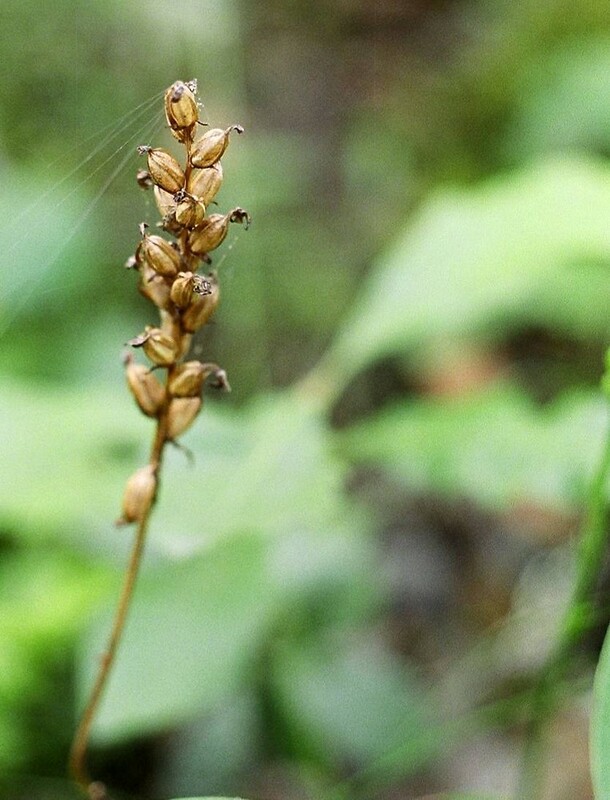 In spite of this, the plant is evidently still visited by insects, and cross-pollination may occur. 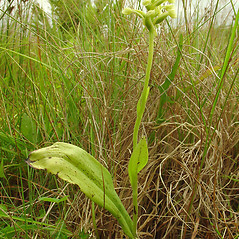 labellum with a prominent, erect protuberance, usually with 2 basal teeth, often crenate or irregularly toothed over the margin, and stem with mostly 2 or 3 principal leaves (vs. P. clavellata, with the labellum without a protuberance, with 3 teeth or very shallow lobes at the apex, and stem with 1 principal leaf). 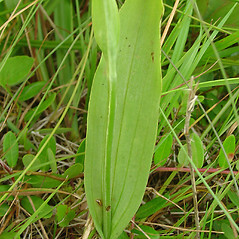 leaves all basal and spur mostly 3-8mm long (vs. P. clavellata, with leaves borne on a stem and spur 7-13 mm long). 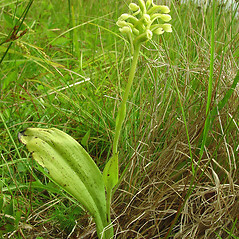 little club-spur bog-orchid. 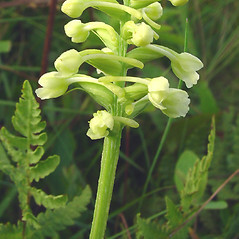 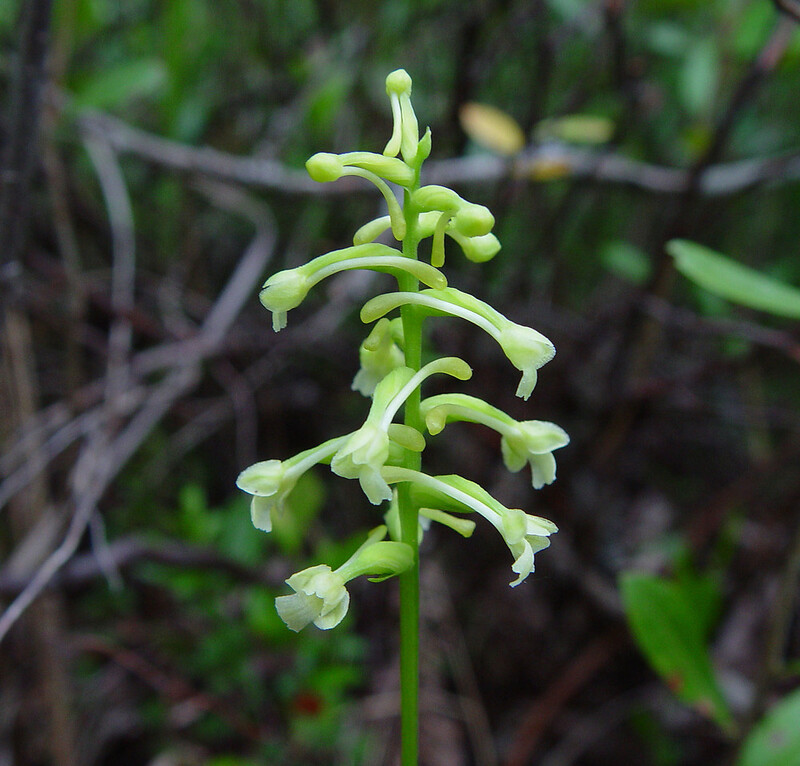 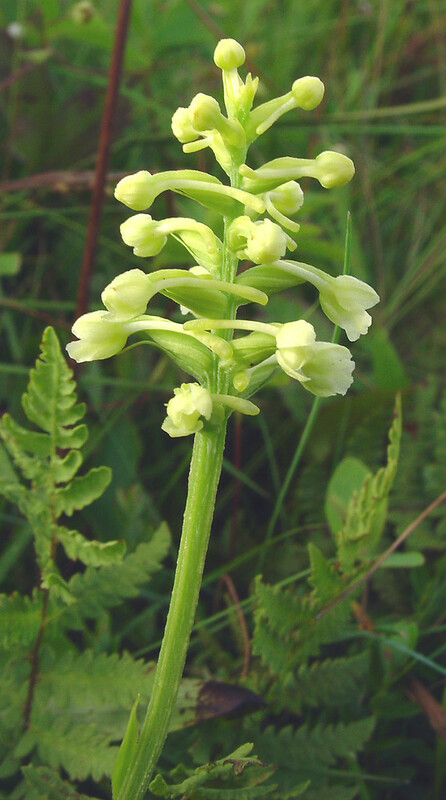 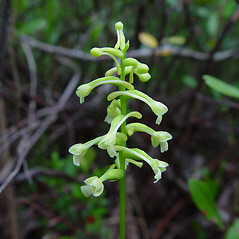 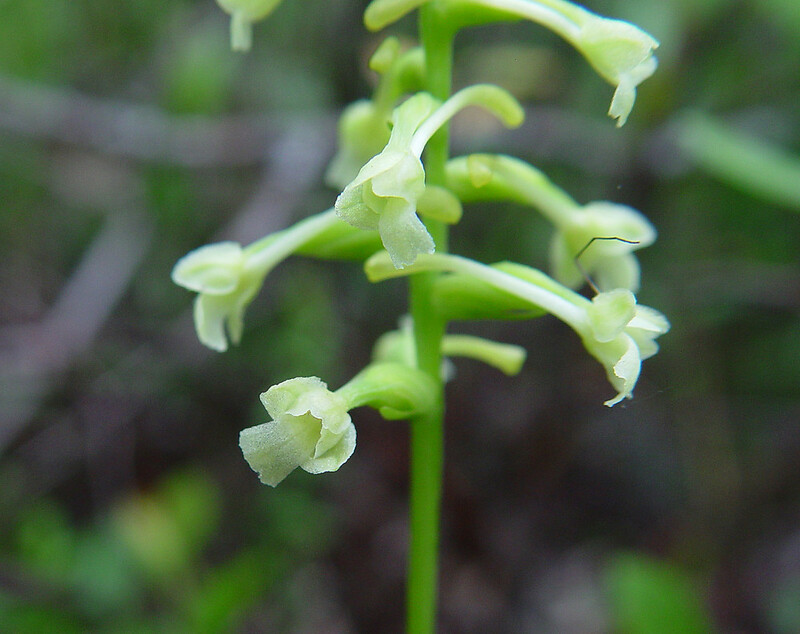 Gymnadeniopsis clavellata (Michx.) 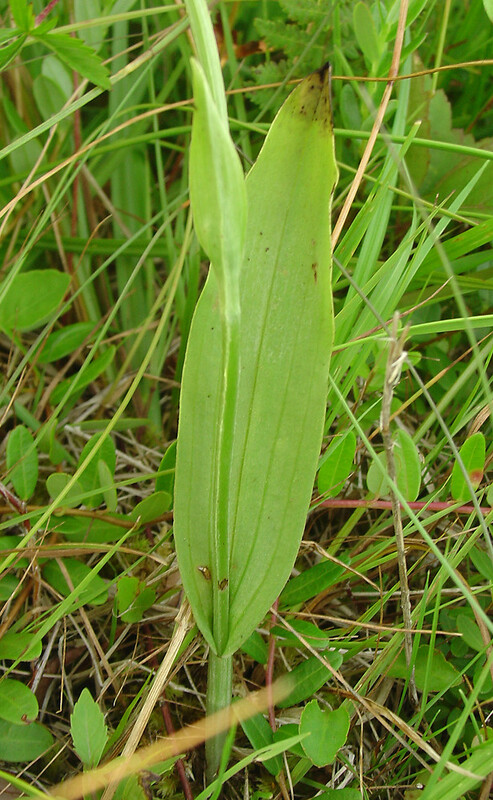 Rydb. 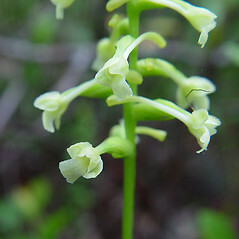 ; Habenaria clavellata (Michx.) 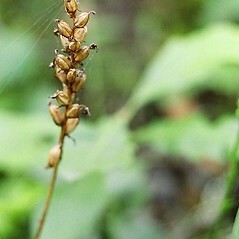 Spreng. 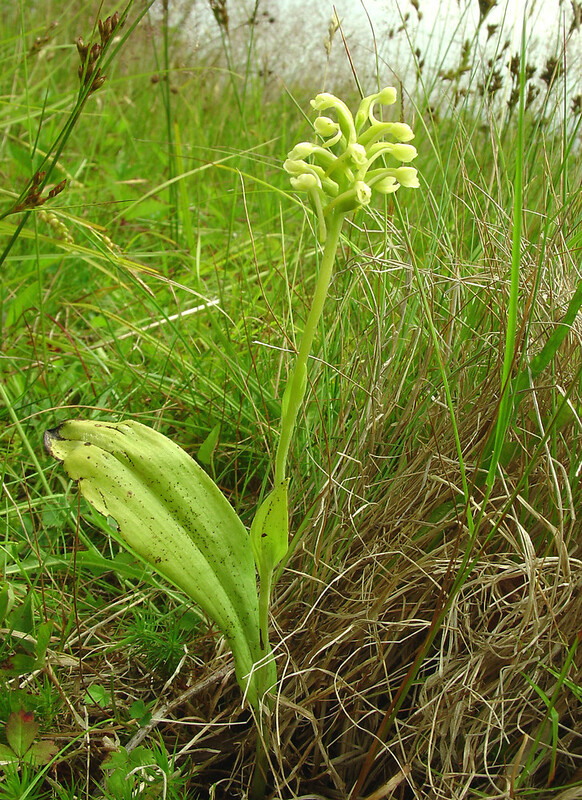 • CT, MA, ME, NH, RI, VT. Fens, meadows, sandy or peaty lake shores, ditches, openings in swamps.